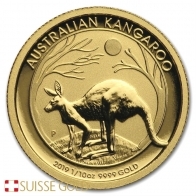 2019 Australian Kangaroo 1/2 oz 24k Gold .9999 Fine! 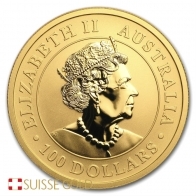 Each coin contains 1 ounce of 9999 fine investment grade gold bullion, and has a face value of 50 AUD. 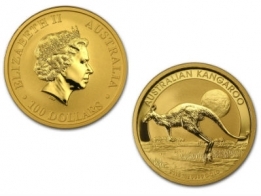 The Australian Kangaroo coin was initially introduced in 1989. Previously, it was known as the Australian Nugget. 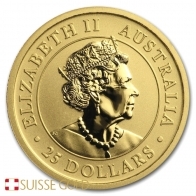 Each coin features an image of Queen Elizabeth II on the front, with the image of a Kangaroo on the reverse. The coin's weight, fineness, face value and year of minting is also located around the images. The Kangaroo and the Lunar Series are the two most popular series of coins produced by the Austrian Mint. In 2016 the Perth Mint also began releasing the Kangaroo coin in silver, and the Kangaroo is now also available in platinum. Each coin comes individually encapsulated. Please contact us to sell gold Kangaroos.